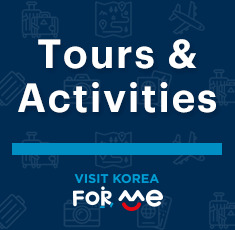 Enjoy a day trip to Korea's representative theme park, offering up attractions galore along with a variety of animals. Take a ride up in the Sky Shuttle to enjoy outstanding views of the city. A perfect gift to take back home! One way to enjoy the warm sunlight and cool breeze of spring is to have a picnic in the park! Follow a Korea Travel Qrator as he explores Gyeongju. 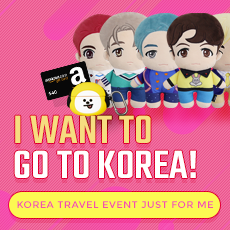 Visit Korea For Me Planning a trip to Korea? Let us find the right tour for you! Guide to Spring FestivalsIntroducing the spring festivals that are taking place from March to May in Korea. 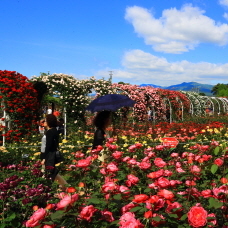 1004 types of roses as well as various programs will highlight the festival. 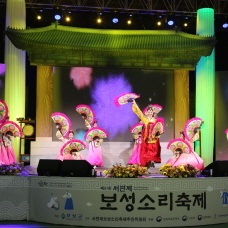 Experience All at Boseong Total Festival! From green tea to royal azeleas, enjoy all four festivals in one city. 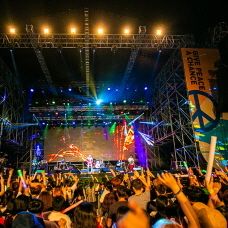 Bring Peace together at DMZ Peace Train Music Festival! All events are free of charge but advanced reservations and deposits vary by location. 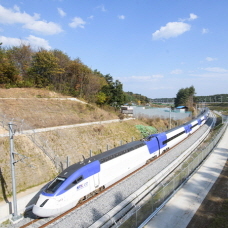 The special discount period aims to promote more visitors to Gangwon-do during the spring period. 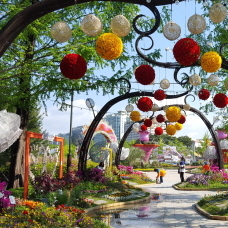 Visitors will be able to see beautiful international flower exhibitions as well as experience various programs. Korea Qrator TraveloguesPersonal experience of Korea Quality-certified facilities. Top 100 Must-Visit Spots Introducing the top destinations for 2019. SEOULThe capital and heart of Korea’s culture, education, politics and economy, Seoul offers a myriad of attractions for all to enjoy. GYEONGJUThe capital of the Silla Kingdom (57 BC-935 AD), Gyeongju is especially well known for UNESCO World Cultural Heritage sites. JEJUJeju is a premier tourist destination, boasting mild weather and scenic beauties of beaches, waterfalls, cliffs and caves. BUSANKorea’s largest port city, visitors flock to Busan each year to relax on the beach or attend events, like Busan International Film Festival. PYEONGCHANGNestled amidst beautiful mountains, Pyeongchang is perfect for winter sports and taking in the pure, natural environment. Ulleungdo Island/Dokdo IslandKorea’s eastern-most islands, Ulleungdo & Dokdo are home to stunning natural scenery and vast flora and marine life. PYEONGCHANGNestled amidst beautiful mountains, Pyeongchang is perfect for winter sports and will host the 2018 Winter Olympic Games. Ulleungdo Island/Dokdo Island Korea’s eastern-most islands, Ulleungdo & Dokdo are home to stunning natural scenery and vast flora and marine life.